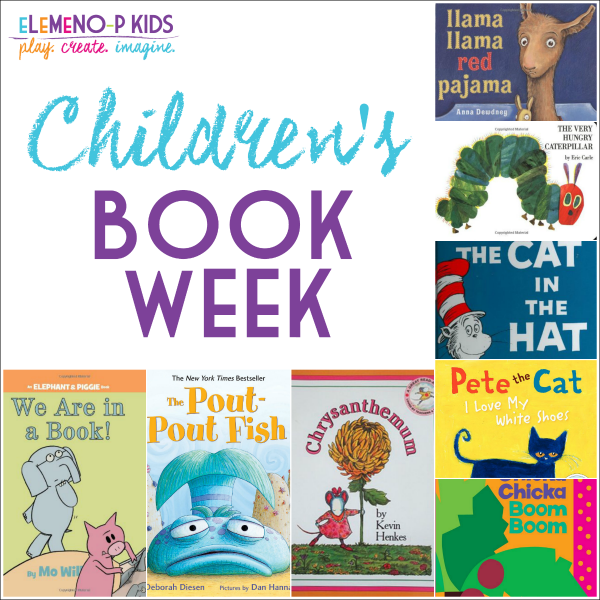 We are continuing with our celebration of Children’s Book Week! This holiday is a national literacy initiative to celebrate all of the wonderful books that have been written for young children! Today’s book recommendation is any of the amazingly funny Elephant and Piggie Books by Mo Willems! Elephant & Piggie books are great for Reader’s Theater, which means you play a part and your child plays a part. This is a great way to teach fluency, inflection, tone of voice, and paying attention to punctuation. ENTER TO WIN YOUR OWN COPY OF AN ELEPHANT and PIGGIE BOOK BELOW! My favorite book is If you Give a Mouse a Cookie. My 3 year old loves books. We look forward to story time every night before bed. Its hard to say what her favorite book is but guess I’d have to go with Snuggle Puppy by Sandra Boynton. I admit its one of my favorites too. It’s fun to read. My girls are 5 and 7 and just devour books. We never leave the library without a Mo Willems book, my girls love to find the pigeon hidden in the Knuffle Bunny books. How do you pick just one? My daughter loves Chicka Chicka Boom Boom. My favorite as a kid was Danny the Dinosaur goes to school. We are adopting. Starting over after 11years, Need to build up Gracie’s library of books. She is 8 months and doesn’t have a favorite yet. Just loves to have someone read to her. Growing up, it was the book entitled “Popcorn” by Frank Asch. Really cute book. they liked me to read them “good night moon”.